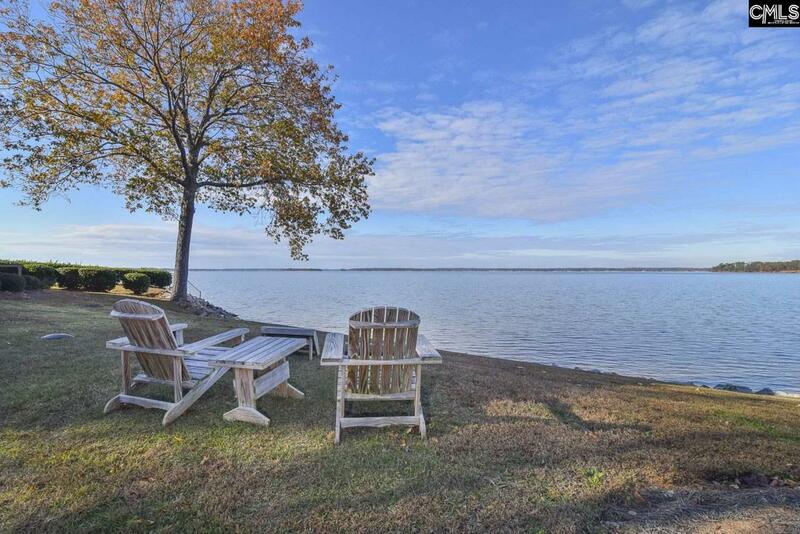 Feel like you live suspended at the edge of beautiful Lake Murray! Offering 3 bedrooms, 2 Full Bathrooms, this property is a pristine showcase. The entire property is painted & decorated in a cool, soothing pallet. The master bathroom was remodeled in 2018 to replace garden tub with a large walk-in tiled shower. The hall bathroom also features a walk-in tile & glass shower with travertine flooring. The kitchen features high end appliances, granite, glazed cabinets & travertine back splash & flooring. Enjoy the eat-in kitchen adorned by a rustic wood chandelier. Perfect view of Lake Murray's 4th of July fireworks from the family room! Cool off in the community pool or play a few games of tennis. Boat storage & drop off/ pick up dock also available. See HOA regarding boat slips. Tour this property to experience the opportunity to live close to Lexington schools and minutes from all the amenities Lexington offers while enjoying resort-like living on Lake Murray. Buyer's agent to verify all information deemed important to buyer(s) including but not limited to square footage and school zoning.